Roberta Segal lives and works in Warren, Rhode Island. The owner of a successful creative agency, her background is in graphic design and painting. Several years ago, a close friend introduced her to the world of kiln-formed glass. Always fascinated with the properties of glass, the medium became her passion. In 2005 she was invited to apply to the Pilchuck Glass School founded by Dale Chihuly. There she studied with Jeremy LePisto and Mel George. She has also taken workshops with noted glass artists Avery Anderson and Brock Craig. She learned traditional glass painting techniques from Chris Foster, which she incorporates in her kiln-formed work. And she has studied with Anna Boothe at Urban Glass. For over two decades she was president of her own creative firm, Roberta Segal and Associates. She and her staff of seven received ten national awards from special interest organizations for their work in graphic design and marketing. A graduate of Simmons College and the Boston Museum of Fine Arts School, she worked at ArtNews Magazine in New York City early in her career. 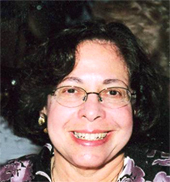 Among her many accomplishments, she developed a curriculum for teaching art appreciation to inner city youngsters; was a set designer for a theatre group; coordinated many classes in “visual conversations” for an adult learning program in collaboration with the Rhode Island School of Design Museum; and as an alumni of Leadership Rhode Island, established their work space/gallery with ongoing exhibits of local artists. She currently chairs the Gallery Committee at Temple Habonim which features the work of New England artists. She is an exhibiting member of the Providence Art Club. In April 2009, she was one of ten glass artists in New England to be selected for the juried show “Looking at Glass” held at the Bristol Art Museum. She has shown in many venues in Massachusetts and Rhode Island, including NOA Gallery, Gallery Z, Gallery LRI, the Charlestown Gallery and the Atrium Gallery in the Department of Administration. Her glass is exhibited at Mary Childs Gallery in Great Barrington, MA. Her commissioned work is found in private collections in Provence, France; and in the United States in California, Connecticut, Florida, Massachusetts, Minnesota, North Carolina, New Jersey, New York, Pennsylvania, South Carolina as well as her home state of Rhode Island. In March 2008, she was selected as an highlighted artist on bestofartists.com. In 2011, her work was included in the publication, “Best of American Glass Artists.” She is a member of the International Guild of Glass Artists. Her website is www.robertasegal.com.